Believe it or not, I'm not a real big ice cream fan, but when I go to the beach, I love walking around while eating a cone of butter pecan. "Ill take a single scoop in a cone please". The person behind the freezer will take the ice cream scooper out of a bowl of (who knows how clean) water and proceeds to dip a large scoop of ice cream into a cake cone. A small cake cone that is. They will plop it right on top, if your lucky they will use the back of the scoop and smash it down a little. After many incidents, I'm aware of what will happen once I do a good hard lick to the sweet stuff. It will roll off and hit the floor. If your really lucky, they will scoop it right. When scooping ice cream, yes, wet the scooper for an easier dip. THEN, with small amounts at a time, fill up the cone. THEN add your adequate scoop on top. This helps hold it on the cone and gives you ice cream all the way to the last bite and we all know the last bite is the best! So next tome you go to an ice cream parlor, watch and see if they scoop it right. If not, you may be getting a cheated fragile scoop of ice cream where the 3 second rule does not apply. A scoop in a cup solves the problem. 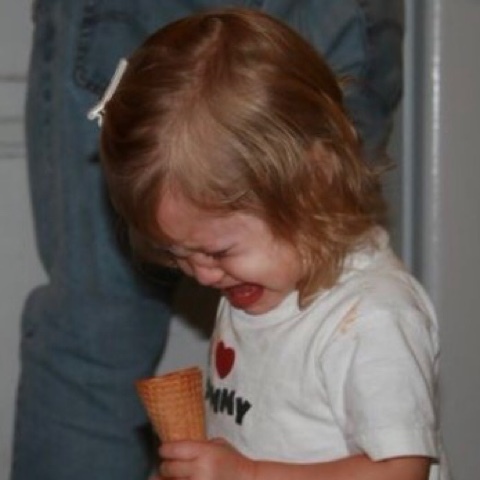 But who does not LOVE ice cream in a cone. Icecream I can take or leave. And mostly leave. A lemon gelato once in a while is a different matter. One of my other favorites. I realy love salted carmel but its hard to find in ice cream parlors. Butter pecan is my favorite too. You can tell the pro dippers from the rookies. Wooh I can barely handle one scoop. I LOVE butter pecan. Sadly, I don't see it offered very often around here.